The beauty about shelves is that you can find pretty much anything to match your own personal style – modern, mid-century, traditional, rustic, or a clean Scandinavian look. Shelves don’t have to house just books. Get creative with your display, add personal items, photos, sculptures, and unique ceramics. Stack books in different directions, to avoid the “library” look. Mix up horizontal and vertical stacks. Use multi-coloured magazine holders, or cover with patterned wrapping paper. Organize your books by colour. Or do the opposite, and wrap the covers in kraft paper for the monochromatic look. Use baskets to house all the little things that you need within reach, but may look disorganized on their own – like blankets, stationary, or craft supplies. Open bookshelves can work as great room dividers, especially when you still need the light to pass through. 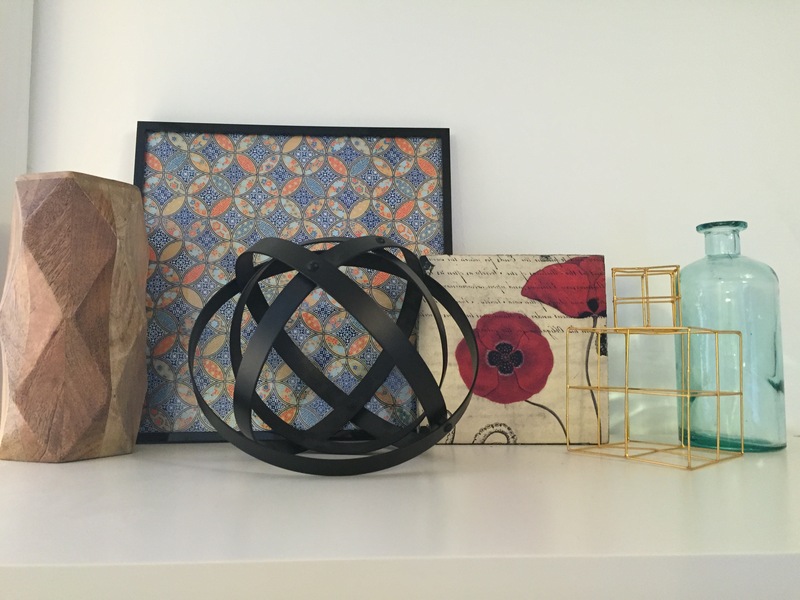 The way you style your items on your shelf can be art in itself. I just heard the word “shelfie” last year, and it made so much sense why everyone was obsessed with curating their perfect assembly of items. It can be a statement of who you are in 10 items or less, or it can just be a pretty collection of random things in the same colour scheme. What does your Shelfie look like? I’m a big fan of shelves too and used to always organize my books by colour.